See, one of the advantages of Android TV is that games and other applications can be updated to work on the platform without needing a new listing. Buy most of the games in DotEmu's publisher page on your phone, and you get the same thing on your TV, no extra listing, no second charges, no big deal. It takes developers a little bit of extra work to make sure things are functional on Android TV - controller compatibility, a few UI tweaks, that sort of thing - but it's all built into the SDK. This isn't rocket science. Some developers build video apps from the ground up for Android TV, but for something that's already a horizontal full-screen app, that shouldn't be necessary. 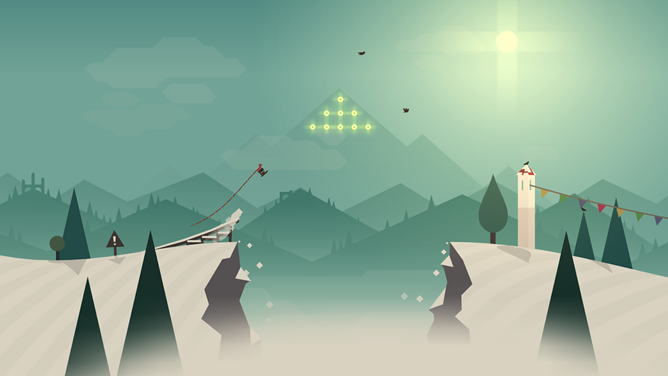 The Play Store version of the mobile game is free, but it only includes a single (and very reasonable) in-app purchase: a $4 unlock that doubles the coins players earn while boarding down the mountain, making power-ups come faster. Essentially, Android TV players don't get a choice between the free and premium version of the game. That's not so terrible... except that players who've already paid for the $4 coin doubler on the mobile game have no choice but to pay again for the Android TV version. 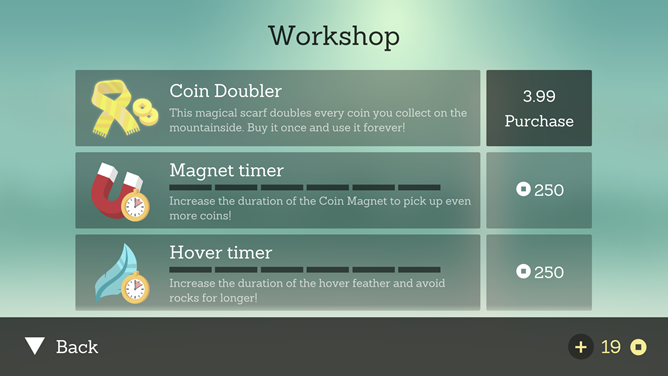 The only in-app purchase in the free mobile version is a $4 coin doubler. 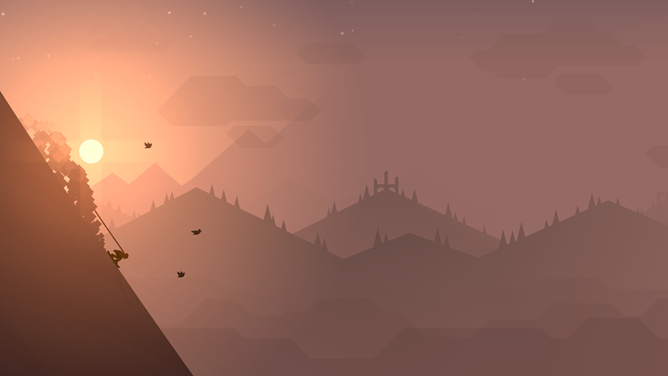 Just to hammer the point home: Alto's Adventure is a $4 purchase over on iOS. Paid on iOS with an IAP upgrade for the Android release is a pretty common monetization strategy, and one that I don't have a problem with. But I do object to the fact that the iOS version is a "universal" app, so spending that $4 means it can be played on the iPhone, iPad, iPod Touch, and Apple TV, all from the same listing in the App Store. That's an important and costly difference for Android users, and one that I don't appreciate. 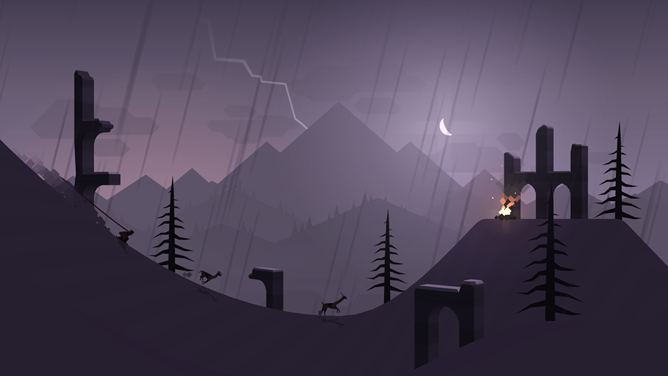 Noodlecake, please consolidate Alto's Adventure into a single Play Store listing for both mobile and Android TV versions. Failing that, making the game free on Android TV - with the previous $4 premium upgrade option - would be an acceptable compromise. 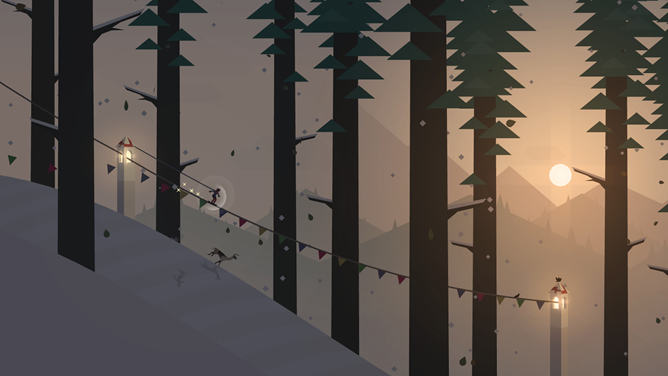 Noodlecake employee Ryan Holowaty explains in the comments below that the decision to make the game paid on Android TV was a result of the differences in advertising tools versus standard Android. It's understandable from a business perspective, though still disappointing for frugal players. Holowaty says that Noodlecake's customer support will offer refunds of the $4 coin doubler IAP for those who ask.